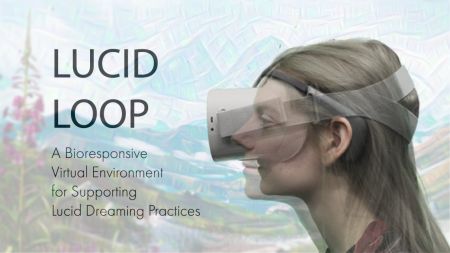 Can a VR deep learning biofeedback help enhance lucid dreaming practice? Lucid dream­ing, know­ing one is dream­ing while dream­ing, is an impor­tant tool for explor­ing con­scious­ness and bring­ing aware­ness to dif­fer­ent aspects of life. We present a proof-of-concept system called Lucid Loop: a vir­tual real­ity expe­ri­ence where one can prac­tice lucid aware­ness via biofeed­back. Visuals are cre­atively gen­er­ated before your eyes using a deep learn­ing Artificial Intelligence algo­rithm to emu­late the unsta­ble and ambigu­ous nature of dreams. The vir­tual envi­ron­ment becomes more lucid or “clear” when the participant’s phys­i­o­log­i­cal sig­nals, includ­ing brain waves, res­pi­ra­tion, and heart rate, indi­cate focused atten­tion. 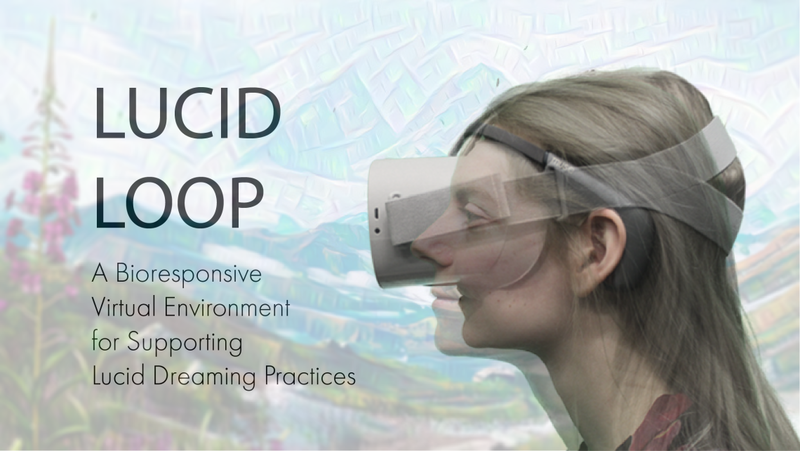 Lucid Loop enables the vir­tual embod­ied expe­ri­ence of prac­tic­ing lucid dream­ing where writ­ten descrip­tions fail. 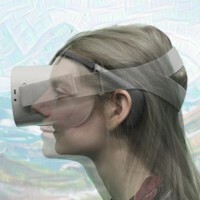 It offers a valu­able and novel tech­nique for sim­u­lat­ing lucid dream­ing with­out having to be asleep. Future devel­op­ments will val­i­date the system and eval­u­ate its abil­ity to improve lucid­ity within the system by detect­ing and adapt­ing to a par­tic­i­pants aware­ness.